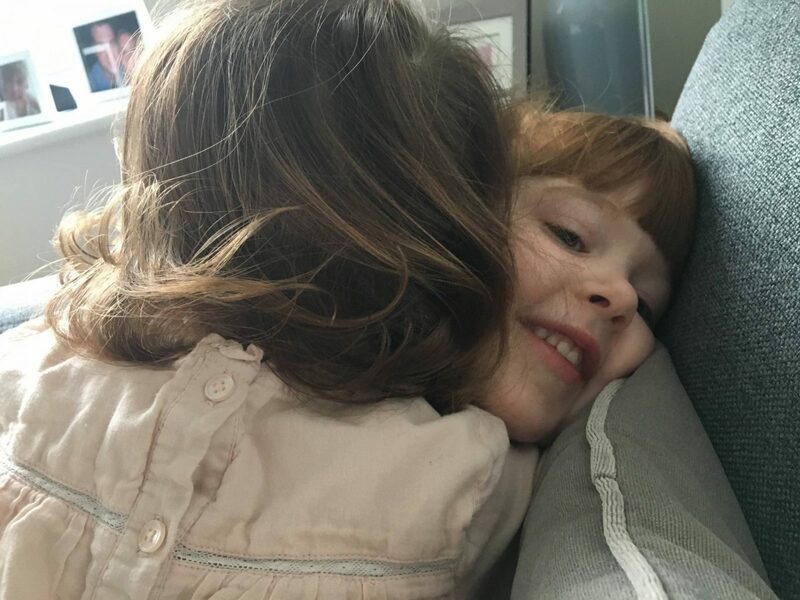 I always knew that I was going to be a mum that counted down to the school holidays, to have Alice home with us every day for a week is amazing. And this half term was no different. Not only is it lovely to have her home, but I think we all needed a break from the routine that school brings. And no school run! Please tell me I am not the only one that hates it with a passion? I just can’t see a time when I won’t. Having to get the girls both into the car, then get the pushchair out, get Holly our of the car and into the pushchair. Get Alice out of the car and walk to school. To then do the reverse. Get Holly out of the pushchair and into the car seat, then put the pushchair into the car. Honestly I am just exhausted writing it! Anyway I digress. Half term started well with us seeing my brother and niece at the weekend. 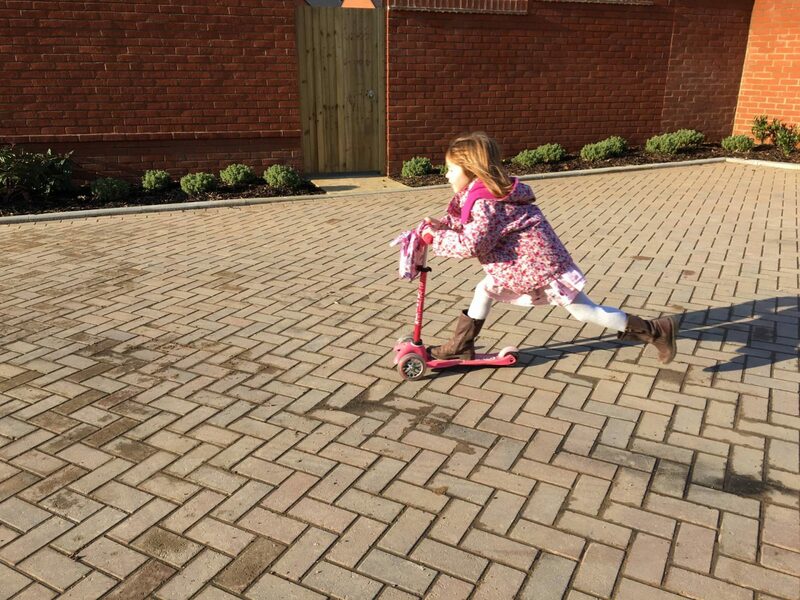 They came over to ours and the girls went out on their scooters, which they loved. 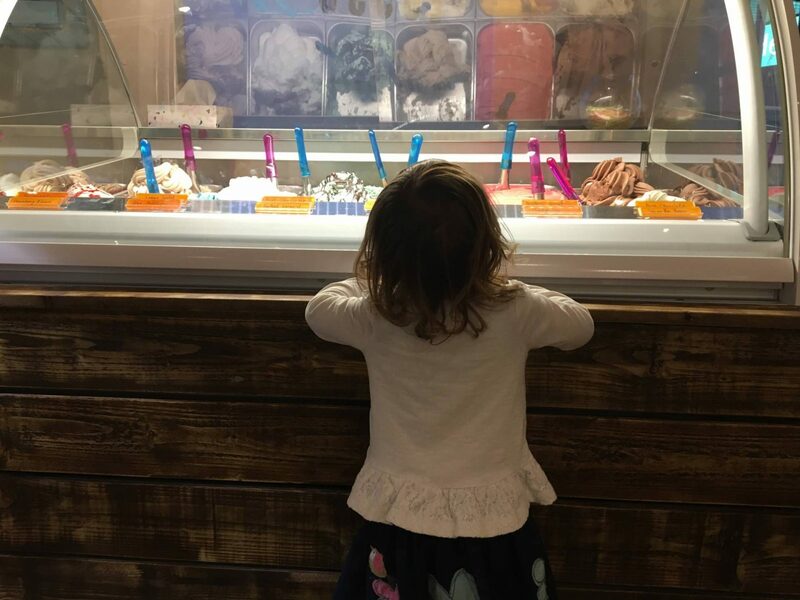 We then headed into town to a new pizza and ice cream restaurant, the perfect combination for any child. Well and maybe adults too! I didn’t plan much over the holidays, a couple of days we saw our friends which was lovely. But one thing that I definitely knew I wanted to do was have a day with just Alice. Having time with just Alice, doesn’t happen that often now she is at school. Yes, there are the weekends, but Andy and Holly also want to see her and I feel bad taking her away. Plus we are a family that like to do things all together. I arranged for Holly to have a day with her grandparents and when I asked Alice what she wanted to do, she asked if we could bake and do crafts. I wasn’t that surprised this is what she asked to do, as she loves doing both these and its harder to fit it all in now she is at school. With Holly safety dropped off we headed to the shops to buy what we needed. 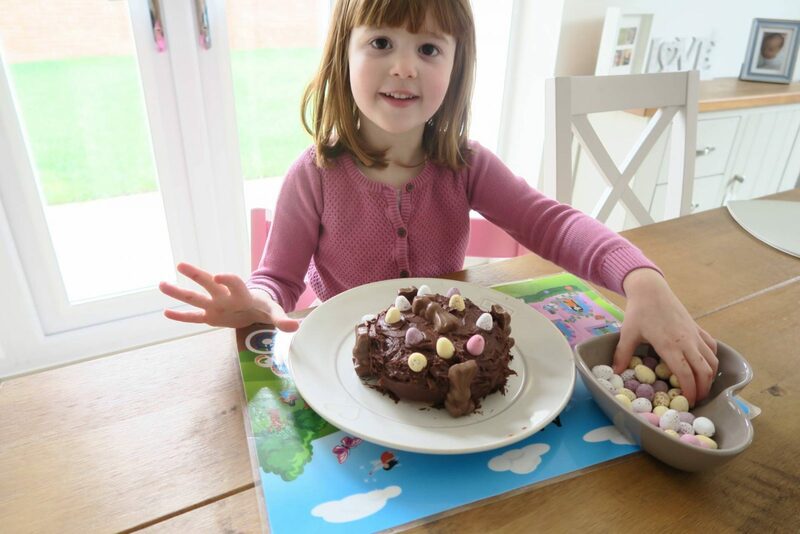 We baked first and we had decided to go for an Easter theme and we made a lemon cake, decorated in chocolate (daddy’s favourite) icing. With some rabbits and eggs on it too! We also made some chocolate egg fridge bars, which are so easy to make and they taste delicious. 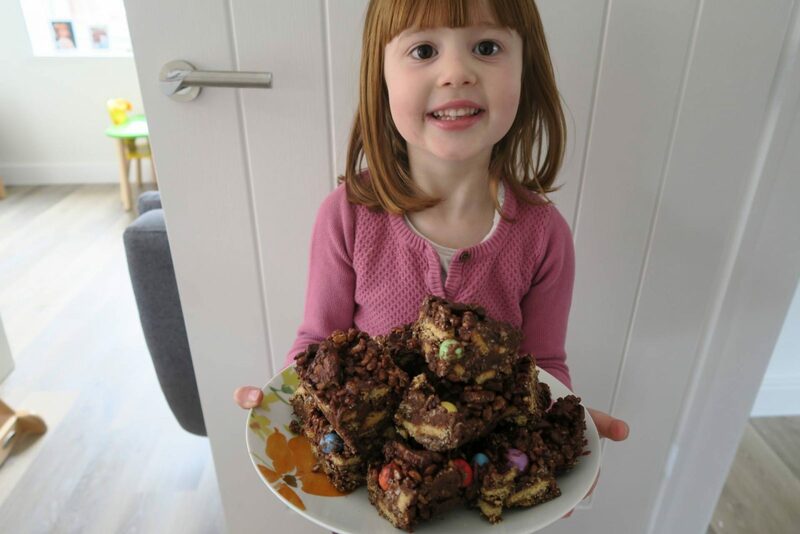 I will share the recipe with you soon, as they are a nice one to make with children for Easter. Alice was very happy and proud with her creations. We had to save the chocolate cake for when daddy came home, so we had one of the chocolate bars for a lunchtime treat. Alice then wanted to make a hippo, don’t ask me why I have no clue. Thankfully she had told me this when we were at the shop and I brought some grey card. She sat for ages making her hippo and then afterwards she played for a bit with the hippo as the teacher. Again this makes no sense to me! On Friday Holly has ballet classes and because of half term being on different weeks, she had her class this week. 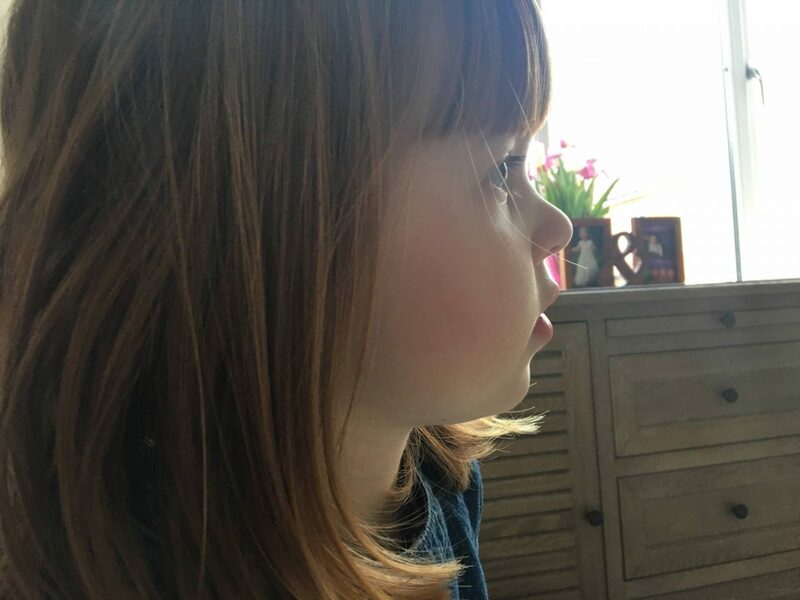 Alice used to do the classes before she started school and her lovely teacher said she could come along too. The girls were both very excited to be doing ballet together. It nearly didn’t go to plan, as we woke up and Alice asked me if she would be wearing her ballet outfit. The ballet outfit that she hasn’t worn for 8 months and is now far too small!! Cue the tears. Thankfully I found a skirt that she thought was like a ballet one and everything was good enough in the world again. They were very cute doing the ballet moves together and Alice telling Holly what a good job she was doing. It wasn’t all lovely moments and I wouldn’t want you to think it was. One morning Alice woke up at 3.30am, yes you read that correctly, 3.30am people and didn’t go back to sleep! You can just imagine the mess she was in by the end of day and mummy too. Tiredness has definitely been a factor all week and I am just pleased to have made it to the end of week in one piece. As much as I love having my two girls together. It is definitely more exhausting with two. But if I could I would have them home together every day. And with a heavy heart and no doubt in a mad rush, I will be ironing the school uniform tomorrow. Finding her shoes and reading book, because they are never where they are meant to be. And getting my big girl ready for school again. Previous Post: « Living With Anxiety…KALMS #livelifeready Campaign! We’ve got one more day (teacher training day) and I love that there’s that grace period for us because like you, our half term has been a wonderful break from the school run. It’s something about the way it changes mornings from being a “do this by this time and hurry up about it” to everyone just pottering around in PJs until their ready to make it morning! Alice sounds just like my little girl, she loves nothing more than baking and crafts. I love Alice’s creations, how wonderful. I’m sorry about your lack of sleep, I’m currently on medication which seems to be waking me up at 5am every single day, it’s tough when you are not getting enough sleep. I hope the school runs go smoothly next week, they do get easier. I hope that the weekly routine wasn’t too difficult to fall back into. It sounds like you’ve had a nice half term and it won’t be long before Easter arrives!